To assist in the planning and development of the IPA, the KTLA developed a Healthy Country Plan, which provides direction for addressing threats and for working on priorities for land and cultural site management. In addition, KTLA has developed a five-year tourism strategy to guide the KTLA’s move into tourism development and management. Category 2 (473 km2): National Park — Large natural areas set aside to protect large-scale ecological processes, along with the complement of species and ecosystems characteristic of the area, which also provide a foundation for environmentally and culturally compatible spiritual, scientific, educational, recreational and visitor opportunities. Category 6 (24,340 km2): Protected area with sustainable use of natural resources – Protected areas that conserve ecosystems and habitats, together with associated cultural values and traditional natural resource management systems. They are generally large, with most of the area in a natural condition, where a proportion is under sustainable natural resource management and where low-level non-industrial use of natural resources compatible with nature conservation is seen as one of the main aims of the area. 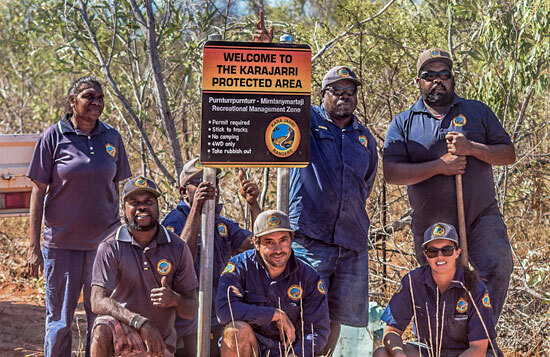 Indigenous Protected Areas (IPAs) are supported by the Australian Government and provide an effective way for Aboriginal groups to maintain the ecological integrity of their country while fulfilling the need to develop cultural economic enterprises. A designated IPA is a formal structure that recognises Indigenous rights to manage country while promoting biodiversity and conservation outcomes through the National Reserve System. 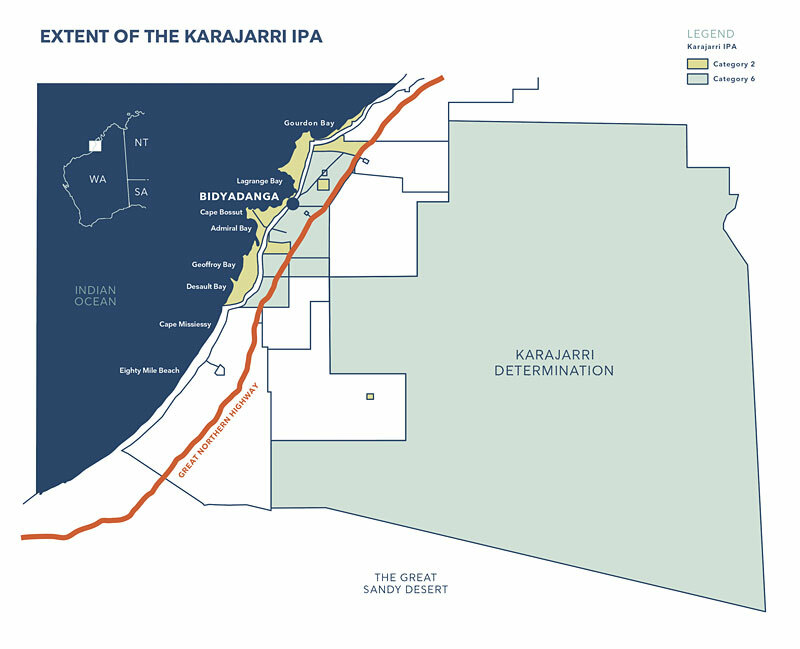 In 2014 Karajarri Traditional Owners declared an IPA over much of their land estate. This was supported by the Federal and State Governments, the Kimberley Land Council, neighbouring pastoral stations and other stakeholders.